We are after those who love problem solving and being part of a growing team that is disrupting and innovating an industry. We are looking for teammates who have the passion and ability to create beautiful code. The ideal candidate has proven experience creating web applications with a strong foundation and/or versatility of various coding languages. We’ll support and push you to a new level – not only from a training perspective but also with certifications and other industry tools to ensure you are always ahead of the curve. Our CIO and CTO are developers as well and work intimately with the team on all the apps, so your voice and work will be heard and recognized by the key decision-makers. You’ll be given the opportunity to own your project and have room to create and see your code in action. Growth is what we’re all about and that includes you and your career. We’ll let you carve out your niche as a member of our dev team. Freedom to be involved in delivering an exciting, disruptive product to an age-old industry and drive it into a new direction. Our Core Values: Fun. Honest. Accountable. Brave. With Great Skills comes Great Responsibilities. We understand that in order to attain and maintain amazing coding skills, it needs to be continually up to date, so we make sure you’re all covered when it comes to any professional development, conferences, and licenses. It’s on us. We thank all applicants for their interest. Only candidates selected for an interview will be considered. 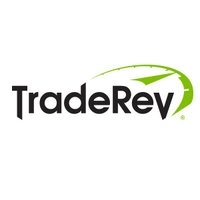 TradeRev is an equal opportunity employer committed to diversity. TradeRev is committed to providing employment in accordance with the Ontario Human Rights Code and the Accessibility for Ontarians with Disabilities Act. Any assessment and selection materials or processes used during the recruitment process will be available in an accessible format to applicants with disabilities, upon request. If contacted for an interview, please advise Human Resources if you require disability-related accommodation.